Bracamontes & Vlasak is one of the few law firms in California representing only tenants in its landlord-tenant practice. We never represent landlords. In the Bay Area, rent ordinances in San Francisco, Berkeley, Oakland, Hayward, and East Palo Alto protect tenants from eviction and/or unlawful rent increase. 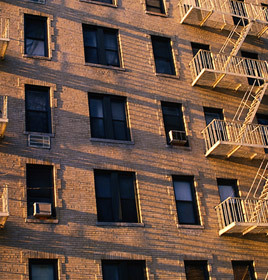 BV Law helps protect rent-controlled tenants from being illegally forced out of their rental units. Whether in buyout negotiations, lawsuits for rental of illegal units and/or subsequent demolition of illegal units, constructive eviction and/or habitability cases, tenants can often be entitled to rent differential damages. The basic idea of rent differential damages is that the tenant is entitled to the difference between the fair market value of the unit and the rent-controlled rental rate for a certain number of years into the future. For example, if a long-standing, rent-controlled tenant is constructively evicted due to uninhabitable conditions or is negotiating a potential buyout of the tenancy and the rent-controlled rate is $1,200 per month, we would research the fair market value of the tenancy in order to determine what the rent differential damages are. If the apartment could rent at $3,200 today (not uncommon), then the tenant has a claim for $2,000 per month in rent differential damages, because that’s what it would cost the tenant to find a comparable unit to rent now. In the context of tenant buyout negotiations, it is usually reasonable to project rent differential damages out for two to four years, meaning that in the context of the above example, a good buyout number to aim for would be $2,000 x 12 x 4, or $96,000. That number represents rent differential damages to the tenant for four years into the future. That said, buyout negotiations are complex and always depend on the relative intentions and incentives of the landlord and tenant at the time. Each buyout must be confronted on its own terms and thoroughly researched before negotiations begin.